Our gray cats would be so grateful, and our tabbies so thankful…if they could have a furever home. You will fall for all our felines at the Fall Feline Frenzy! 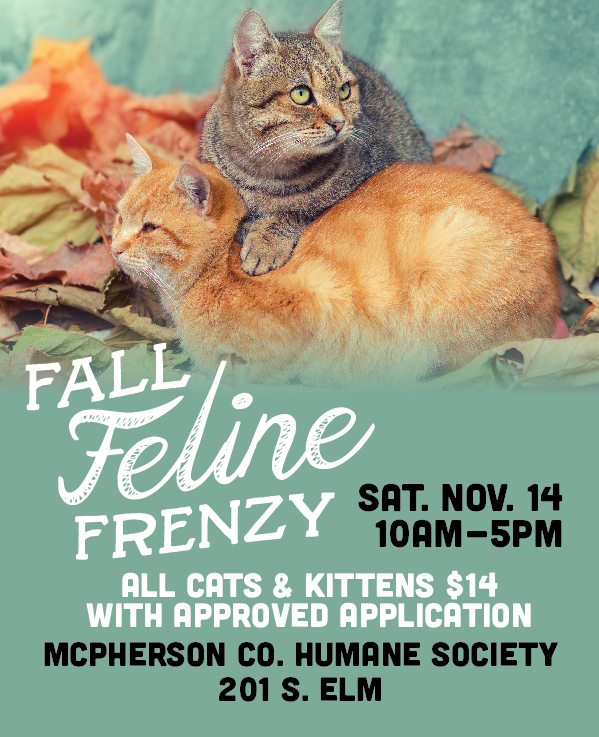 All kitties – adult or kitten – will have an adoption fee of $14. You must have an approved application in order to adopt, so we strongly urge you to submit one in advance. Click here to fill out an adoption application. If you have any questions about the adoption process, please email mcphersonhumanesociety@hotmail.com. See you on November 14th!